About to hire a live band? How about a more general entertainer in London, Manchester, or beyond? The venue elements have to be as precise as possible. Silk Street have some ideas about that. Our guide will tell you what to bear in mind for a venue that gets the most out of your entertainment hire. The venue choices for your event are incredibly broad. You may opt for a historic cathedral, or a conference arena crossed with spotlights. 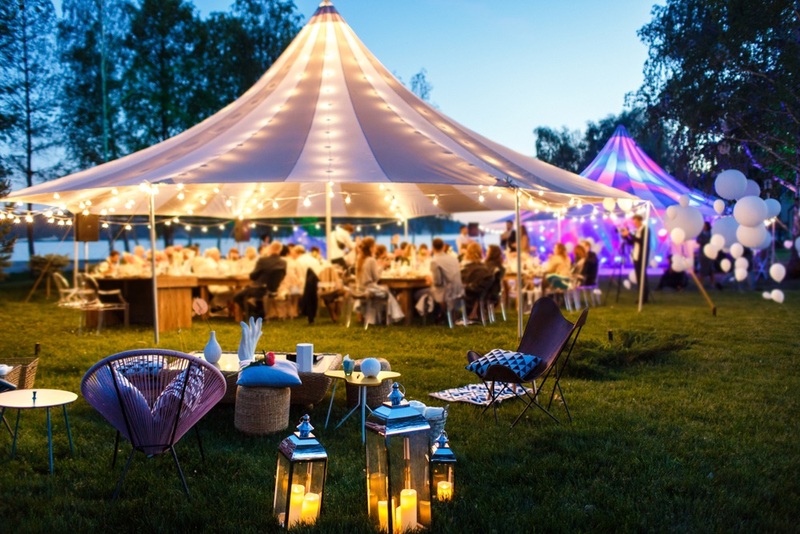 Perhaps rural locations such as a garden marquee, lodge or festival ground are also up for consideration. It depends on what theme or capabilities you’re looking for. But the basic rule is that booking the venue first makes sense. Get a date and a deposit settled. Figure out if the event is going to take place during the daytime, run over into the evening, or last for eight or nine hours. If the venue isn’t available, there’s no point sticking to the date – the only other option is to move elsewhere, accommodating your preferred timescale. Of course, this information should be relayed to the artist, group or host you’re trying to hire. They’re probably in heavy demand. By giving them a firm request, you’ll get a ‘yes’ or ‘no’ on paper. Is there adequate lighting, audio and stage equipment? Some performers need to be amplified. Others like to have a semi-complex stage show with visual and production effects. They may want to bring guests into dance routines throughout the night. Check that the venue is capably provisioned. Most acts will have their own stuff, of course, yet they’ll need to be aware of what to bring in advance. Where will the act await their next set? Typically, a green room is ideal: a secluded area towards the rear of the building, or stage-side, where the entertainers can’t be disturbed. Ensure it is cool, secure and hygienic. How many guests are coming? A six-piece band might be more suitable for, say, a few hundred people, as opposed to an intimate cocktail party. The act will want to know how big the audience is – not only for their preference, but also to bump up the amount of people in the act if there’s more than one line-up to choose from. What should they wear? A venue choice can direct the way guests will dress for the event, and the same goes for the local live bands for hire, or whoever you’re trying to book. Cabaret points to ties, fedoras and flapper outfits. A 1980s theme means power suits and bright ties. You can ask for smarter gear than they’d usually wear, or suggest that they stray a bit ‘looser’ from their traditional appearance. It depends on how far you want an aesthetic to spread from surroundings to act. What’s the parking situation? Entertainers and function bands for hire may be travelling several hundred miles to play your set. Local acts may not have as far to go, but could also want a similar assessment of parking facilities. Offer to cover the cost (assuming there’s nothing on-site) as a gesture of goodwill. Yet there are plenty of ways to ensure year-round performances in the open air. The main concern will be having a roof over the stage, not unlike a festival setup, that keeps any guitars, amps and drum kits free of moisture. Bandstands are okay for a light downpour, but don’t protect much if the breeze picks up. It might be useful to have a shelter, marquee or gazebo for backup, which can be assembled in five or ten minutes. Want to stay on the safe side? Hire a live band that’s acoustic – the sort with a big sound, regardless of whether they’re jacked into a PA system. Marching bands, jazz groups and folk performers will be good at filling this role. Finally, it’s important to treat the performer/s like a guest of honour, instead of hired hands. Refreshments. Nibbles and water – maybe even a couple of beers – will keep the act happy. No one wants to play, sing or do magic on an empty stomach or dry throat. Guidance in the venue. An entertainer won’t know how to get onstage from the green room, unless you walk them through the network of doors, corridors and annexed rooms. Similarly, they may be expecting any manner of strange venues, from restaurant basements to disused warehouses or mansions. People have to be aware of where they’ll go for a quick, faultless route to the show in order to fit seamlessly into your event schedule. Personal respect. Don’t confuse an entertainment hire for the catering staff! Your team must be on board with this, because no act should be forced into silver service at the last moment. A manager can mistake them for agency staff. Clue everyone into what the act looks like and where they’ll be. And with that, we wrap up our venue considerations – bear them in mind when you’re narrowing in on bands for hire, entertainment for corporate events, or anything else that lifts your occasion to the next level. We can assist with that search… Silk Street Entertainment is the road to a booking that makes your event one to remember. Contact our specialist talent agents today for advice or a list of UK acts that will match your venue perfectly.